Okay, so here I am in Japan. Taking an overnight flight (and I can never sleep on those) left me pretty tired, and the raw heat and humidity of Japan at this time of year saps energy like nothing you’ll ever believe, but the main thing is that I’m here, and I used the day to get myself reacquainted with my home-away-from-home in Japan. 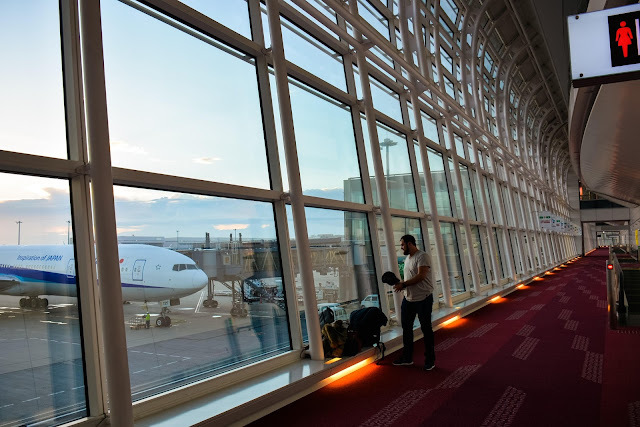 The good news about having one of those overnight flights is that it meant that I was at the Haneda airport at about 5:30am, and as we were, it seems, the first aircraft to arrive, we were also through immigration and customs with no queues whatsoever. Japan’s airports can get very busy indeed, and I hate waiting in queues, so being through the whole system in 30 minutes or so, left a great first impression indeed. Staying with in-laws as I do when I travel here, I base myself in Kawasaki City, which sits between Tokyo and Yokohama. It’s not exactly a foreign tourist destination (though attractions such as the Doraemon Museum, which is local, is changing that). There aren’t that many gaijin around… or even signs in dual Japanese and English. This is exactly how I like to experience Japan, though. It’s one thing to waltz into the country as a tourist, drop in at the Imperial Gardens, Asakusa, and Akihabara, before jumping on a plane back now burdened by souvenirs. It’s quite another to actually live in the country, and while I’m obviously not going through the mundane 9-5 day jobs (or, for the Japanese, closer to 7-7), nor worrying about things like bills or food, I do get to witness the Japanese going about their day-to-day lives in the context of a local community, and that is far more of interest to me than hanging in the tourist circles. This is how I like my airports, frankly. And so, there I was, one of the few westerners to be around in the local area, sweating like crazy in the heat, but otherwise loving being back in the area. “My” local area plays host to a vibrant local shopping street, as the nearest shopping malls are a train station over, and while that might sound inconvenient – and, to a certain extent, it is, it also gives me access to a more local, traditional style of retail – think that shopping street in Persona 4 before the Junes mall came along. This shopping street still has all the things you’d actually need – fruit and vegetables stores, restaurants and cafes, and a book store (which, at three floors, manages to be larger than almost all the book stores in Australia – the Japanese like buying physical books from stores, while Australians either don’t like reading or buy everything online, it would seem). There’s even a small video game store, mostly stocking Nintendo 3DS and PlayStation Vita games. Like every other electronics store in Japan at the moment it has a big television set up in the window to promote Persona 5. I was just as happy to see a small screen inside playing trailers for Hatsune Miku Project Diva X. My waifu gets the respect she deserves in her home nation. 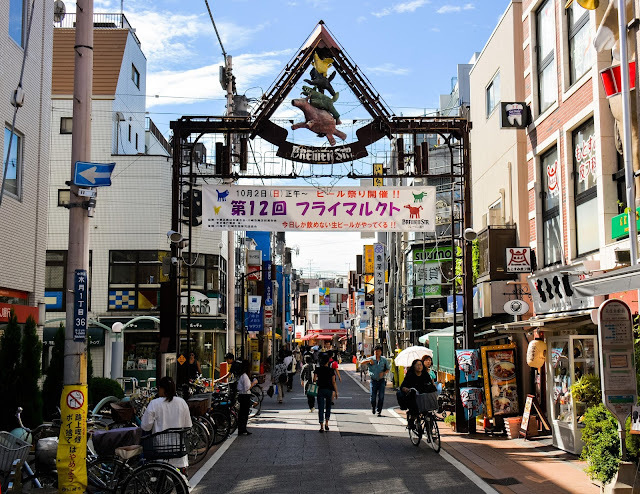 More than the shops itself, what is notable about this shopping street – and every other commercial venture in Japan – is the heavy use of characters, colour, and charm to drag customers in. It’s autumn in Japan now, and so there’s a lot of promotion for Halloween going on, complete with adorable ghost characters and plenty of orange colours. Halloween to the Japanese is less about horror, more an excuse to party. Not related to Halloween, but even the local McDonalds has characters in its promotions here – there was a big sign out the front with a rabbit shadow on the moon eating a hamburger. There’s a close link between rabbits and the moon in Japan, and this is the season for that as well. Japan is the country of Hello Kitty, Rilakkuma, and any number of other “mascots,” of course, and has large companies that make money from doing nothing but creating these characters and then sticking them on merchandise. It is something that makes Japan colourful, bright, cheerful and entertaining. A dentist uses a koala to advertise itself on a billboard. In Australia a dentist would be lucky to even think of running an advertisement, let alone come up with a mascot character. 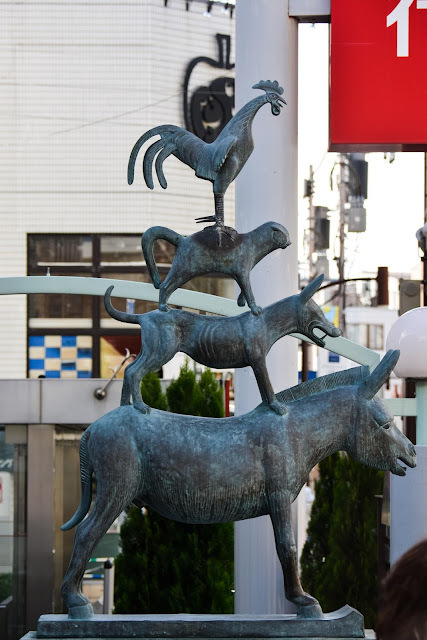 This statue is out the front of the local shopping mall. I love this statue. After spending some time catching up with “my” local shopping street (and buying myself a Hatsune Miku manga and copy of the most recent Famitsu from the book store), I jumped on a train and headed one station across to go to one of the bigger shopping malls. The mundane stuff I bought there won’t be of interest (I prefer to buy my clothes etc from Japan where I can), but I wanted to highlight a music shop that I really enjoy visiting when I come to Japan. By 'music shop', I don’t mean CDs and the like, but rather musical instruments and supplies. I discovered this shop a couple of trips to Japan ago, and make a habit of revisiting where I can because this shop has a truly spectacular selection of sheet music books that I am in the habit of collecting. This time around I picked up the musical scores for a “top 30 vocaloid music” compilation, which includes scores for IA, as well as Miku, as well as individual sheet music for Miku’s Senbonzakura, which I think makes for a stunning piano solo. I also picked up a book of Final Fantasy prelude scores, and the score for the Drakengard 3 soundtrack. This is, again, something that’s remarkably hard to find in Australia, and not something I even really think to look for when shopping online (it’s often hard to find these things online, too). But I like keeping in practice with the piano by playing game and anime music, so I always make sure I come back home with a couple of new scores to play through. It was only mid-afternoon by the time I’d finished this shopping trip, but I was still exhausted from getting no sleep the night before, so I chalked this up to an acclimation day, and got myself home and into comfortable air conditioning. The trip in full starts tomorrow. Item Reviewed: DDNet in Japan 2016 #1: On local shopping, the heat, and an exhausted first day 9 out of 10 based on 10 ratings. 9 user reviews.